There's one strong "Buy" signal that alerts you to some of the best stocks to invest in across all sectors. It's one of the most accurate indicators that a stock is headed higher. Many investors don't know about it, or how to track it. Money Morning's Executive Editor Bill Patalon alerted his Private Briefing investment service readers when Kratos Defense & Security Solutions Inc. (Nasdaq: KTOS) flashed this "Buy" sign in March 2014. The stock zoomed 9.2% in just three days and climbed 20% over the next three months. Insiders include CEOs, company directors, board members, or anyone else employed by the company. When they start buying large chunks of a company stock, it shows they're confident in the share price rising. "When you get right down do it, there's really only one good reason for insiders to be buying shares of their company – they believe better times are ahead and that the stock is destined to rally," Money Morning's Defense and Tech Specialist Michael Robinson said. "In fact, spotting insider buying is a good way to consistently beat the market. Basically, this is about as bullish an indicator of a company's future as you can find." You find this information easily through a stock screener or stock tracking site. Yahoo! 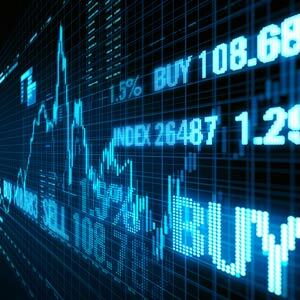 Finance, for example, offers detailed information on each stock's insider activity. That includes shares purchased, numbers of transactions, percent changes in institutional shares held, and the name and profession of the insider buying shares. Just click on the "Insider Transactions" link under the "Ownership" tab on the left portion of the Yahoo! Finance stock page. Stock screeners like that offered at finviz.com also let you search for recent insider buying activity. Tesoro Logistics LP (NYSE: TLLP) owns, operates, and acquires crude oil and refined products. The company operates primarily in the North Dakota and Montana Bakken Shale region. TLLP stock fell 20% over the second half of 2014 as oil prices crashed more than 50%. But shares have climbed 5.7% since hitting a low in mid-December. Insiders think that's just the start for TLLP stock. Since November, company officials have acquired more than 47,000 shares. According to Yahoo! Finance, institutional ownership of TLLP shares has increased 1.38% in the last six months. The value of those shares is nearly $700,000. Insider buying isn't the only factor making TLLP a stock to invest in now. In the next quarter, analysts expect revenue to increase 99.3%. In the next five years, EPS should grow 21% for Tesoro compared to just 12.6% for the entire industry. The stock also pays a nice dividend of $0.67, for a 4.7% yield. A survey of 11 analysts by Thomson/First Call set an average price target of $67 for TLLP. That's 16.1% higher than today's opening price of $57.70. In early February, MLV & Co. initiated a "Buy" rating on TLLP stock. Many thanks for the Tesoro tip. It does look very interesting. Though am a little concerned that the 2015 Dividend forecast is higher than the Earnings forecast.